Sliced french bread is topped with a freshly-made basil paste, chopped tomatoes, capsicum, zucchini, and cheese. Try using olive oil in the pesto for a lovely original italian flavor. 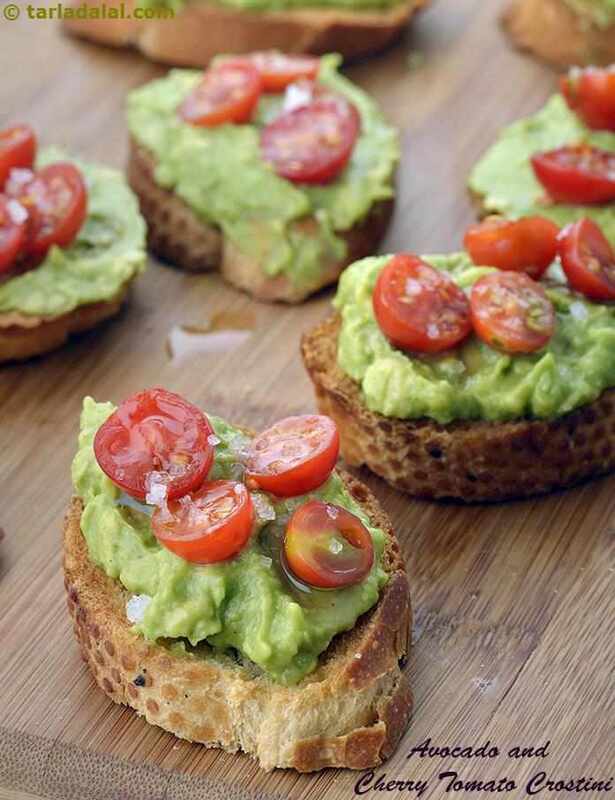 This delicious olive, cheese and tomato topped bread is perfect for parties, buffets and makes a welcome appetizer. It also makes a perfect accompaniment to pasta, soup or any other continental main course.